West Philadelphia Orchestra’s wall of brass and drums ignites parties, joy and love, celebrating wildness and fierce abandon. Founded in 2006 as a humble village band, the group’s mashup blend of Balkan brass, free jazz and global beats has only deepened with age. Their new album, Tour de Filli, is a culmination of this evolution, as they have transformed a foreign brass tradition into their own. 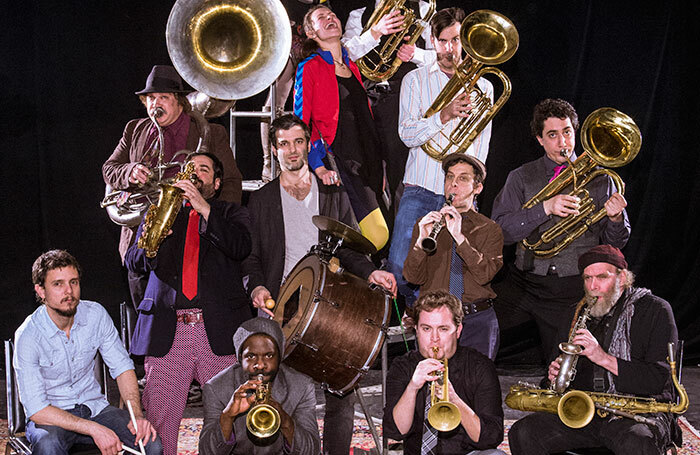 With cutting brass, searing woodwinds and some of the tightest beats around, West Philadelphia Orchestra invites audiences to lose themselves in earthy sounds that shake, break and roll.